Registration is now open for Microgrid 2017, the defining microgrid conference of the year, sponsored by the powerhouse team of Microgrid Knowledge, the International District Energy Association and the Microgrid Resources Coalition. To be held in Boston Nov. 6-8, the conference promises to be the one event that brings together the most noted microgrid thought leaders. Discounts are now available for those who register early. Microgrid 2017 follows Microgrid Knowledge’s successful 2016 event in New York City where energy leaders charted the future course for the rising microgrid industry. Join us to see how far microgrids have come in one year — and where the industry will head next. This year’s event will feature prominent industry and policy speakers, regulators and government agencies, lively panel discussions, technical sessions, vendor booths, tours of Boston-area microgrids and extensive networking opportunities. In addition to having a strong industry presence, the event is designed to attract a range of energy customers who are exploring microgrids. These include universities, hospitals, pharmaceutical companies, manufacturers, data centers, office park developers and others seeking greater energy reliability, efficiency and cost management. The event will be held at the Boston Park Plaza. Registration details, including early bird and group discounts, are available on the Microgrid 2017 site. For information about sponsoring the event or exhibiting, contact Kevin Normandeau, Kevin@microgridknowledge.com, (508) 259-8570. 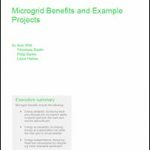 Microgrid 2017 also is seeking presentations that address the rapidly changing microgrid landscape in the U.S and internationally. Those interested in presenting should submit abstracts of not more than 75 words by 5 p.m. ET on March 17. Participants may offer papers for conference tracks on technology and innovation, policy and regulation, and business or market development. Microgrid 2017 will gather the industry’s most influential leaders, thinkers, policymakers, regulators and government agencies. This will be an opportunity for leaders to come together and shape next steps in the growing industry through lively panel discussions and exclusive networking sessions. Hospitals, universities, office park developers, pharmaceutical companies, data centers, manufacturers, municipalities and others will find extensive learning opportunities. The event will feature tours of local microgrids, case study and technical sessions, exhibitor booths and lessons learned from experienced microgrid operators. Register for Microgrid 2017 today and receive your early bird discount. Please add DOOSAN to the list, their results will be faster and more flexible than others. Our PPInc ECO-MAX hot water fired aDsorption chiller line with no moving parts can halve the prime mover(s) and boost the efficiency to 100%. Don’t forget to concern upgrades with operational systems and sleeping systems that were over sold. Thank you Elisa for the leadership, you made my day!